Udo Hoffmann is Professor of Radiology at Harvard Medical School and Chief of the Division of Cardiovascular Imaging at the Department of Radiology at MGH. 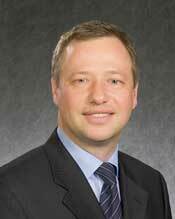 He is also the Director of the Cardiac MR PET CT Program, and the Director of the MGH Imaging Trial Center. Dr. Hoffmann earned his medical degree and doctorate from the University of Leipzig, Germany and his Master of Public Health from the Harvard School of Public Health. He then completed his residency at the Vienna General Hospital. Dr. Hoffmann is a leader cardiovascular imaging and is the Principal Investigator of major NIH-supported clinical trials such as ROMICAT I, ROMICAT II, PROMISE (Diagnostic Testing Core) and the CT Imaging of the Framingham Heart Study Cohort. At MGH, he leads a multidisciplinary team with expertise in cardiovascular imaging, epidemiology, cost effectiveness analysis, and blood biomarkers. His research has resulted in numerous peer reviewed manuscripts, reviews and book chapters, among them major work on the characterization of high risk coronary atherosclerotic plaque. Dr. Hoffman’s national and international responsibilities further include: Co-Chair of the Imaging Oversight Committee of the Framingham Heart Study, Associate Editor for Circulation Cardiovascular Imaging, member of national initiatives, guideline committees, and task forces for the Radiological Society of North America, American College of Radiology, Society for Cardiac Angiography and Interventions, American Heart Association, and American College of Cardiology, as well as a member of NIH review committees. Dr. Hoffmann is the Co-Principal Investigator of the Data and Statistical Coordinating Center for the REPRIEVE trial, Co-Chair of the REPRIEVE protocol, and Co-Chair of the Data Management Committee. Heather Ribaudo is a principal research scientist at the Department of Biostatistics at Harvard University, School of Public Health where she is the Director of Biostatistics and Programming for the Center for Biostatistics in AIDS Research. Dr. Ribaudo received her Ph.D. from the Medical Statistics department of the London School of Hygiene and Tropical Medicine. Since joining Center for Biostatistics in AIDS Research as a post-doctoral fellow in 1997, Dr. Ribaudo has been senior biostatistician in the field of HIV and AIDS clinical trials with the Statistical and Data Management Center of the AIDS Clinical Trials Group for more than 15 years. Within the AIDS Clinical Trials Group she has been responsible for the design, monitoring, and analysis of many major HIV clinical trials and studies with a recent focus on clinical trials of novel interventions targeting HIV-associated immune activation and inflammation, and/or end-organ diseases commonly associated with the aging process. 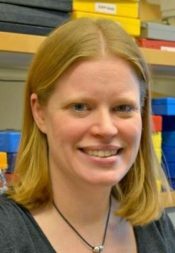 Her research interests include the design and analysis of clinical trials in AIDS research, particularly the choice, evaluation, and monitoring of surrogate endpoints, HIV-1 resistance, viral dynamics, and human genomics. She is also interested in the application of causal inference analysis for the estimation of treatment effects from observation data in HIV. Dr. Ribaudo is the Co-Principal Investigator of the Data and Statistical Coordinating Center for the REPRIEVE trial and Co-Chair of the Data Management Committee. Kenneth Williams is Professor of Biology at Boston College. Dr. Williams earned his Masters in Neuroscience from the University of Hartford and his PhD in Neuroimmunology from McGill University. Dr. Williams’ research focuses on chronic immune activation of monocyte/macrophages among humans with HIV and animals with SIV and he has numerous publications in this area. 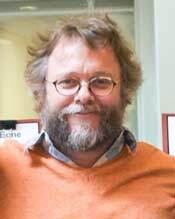 He also serves on the editorial board of The Journal of Neurovirology and The Journal of Leukocyte Biology. Dr. Williams’ role in the REPRIEVE trial is in the oversight of laboratory assessments of immune activation. 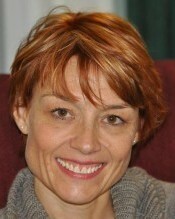 Tricia Burdo is an Associate Professor of Neuroscience at Temple University College of Medicine. Dr. Burdo earned her Ph.D. in Cell and Molecular Biology from Penn State College of Medicine. She then completed her postdoctoral fellowship at The Scripps Research Institute in La Jolla in the Molecular and Integrative Neuroscience Department. Dr. Burdo’s research focuses on the role of ongoing chronic immune activation and the role of monocyte/macrophages in HIV-associated peripheral neuropathy (HIV-PN), HIV-associated neurocognitive disorders (HAND) and cardiovascular disease (CVD). She has pioneered work on soluble CD163 (sCD163) as a marker of chronic immune activation in SIV and HIV infection. She has shown that sCD163 correlated with non-calcified vulnerable plaque and arterial inflammation in HIV-infected patients. Dr. Burdo’s role in the REPRIEVE trial and Women’s substudy is oversight of laboratory assessment of immune activation markers in plasma of REPRIEVE participants. Michael T. Lu is Assistant Professor of Radiology at Harvard Medical School and a Cardiovascular Radiologist at Massachusetts General Hospital. 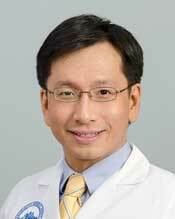 Dr. Lu earned his medical degree from Harvard Medical School. He completed his internship at Newton-Wellesley Hospital, radiology residency at the University of California, San Francisco, and fellowships in Thoracic and Cardiac Imaging at Massachusetts General Hospital/Harvard University. Dr. Lu received the American Roentgen Ray Society Scholarship to support his work in clinical trials of cardiac CT.
Dr. Lu co-chairs the REPRIEVE Mechanistic CT Substudy. Devvora Olalere, is the REPRIEVE DCC Project Manager. She manages and oversees trial operations, including site initiation, imaging, and non-imaging data management, QA/QC, clinical trials documentation such as trial operations manuals, EDC systems and reporting, as well as clinical trial regulatory components, including IRB continuing reviews and protocol amendments. Devvora assists in managing all aspects of the REPRIEVE DCC and serves as primary liaison for the principal investigators, biostatisticians, clinical research sites, and Clinical Events Committee (CEC). She also oversees comprehensive data tracking systems and REDCap database.